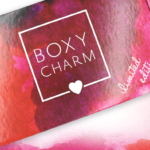 New Beauty 2018 Awards Box Available Now + Full Spoilers! I can’t believe this box isn’t sold out yet!!! Anyone get a different nail color other than the pinky red “Karen “? Don’t have polish near me but mine was the bright pink one. I wish I had received the purple one pictured above, but that’s ok. Gifting pile it goes. Does anyone know how often these beauty award boxes are released? These are the only ones I order. I don’t want to miss one!! I am just curious, why do people care so much about the Bum Bum cream? What’s special about it? It smells really good. Like a honey/coconut/beachy scent. A little goes a long way and it’s very moisturizing. yes I agree..made by angels and I love the feel of the lotion…not greasy and stays moisturized for a very long time!!! The bum bum cream is unlike any other body moisturizer I’ve used. It’s non greasy, smells delish, and absorbs well. I have to be careful and use it on places my dog can’t reach because I think I smell like a glazed donut to him! Is this box available to Canada?! I don’t think I saw an option to ship to Canada. I’m Canadian and cross the border to pick up. It’s $80 after the exchange, but so worth it! I LOVED this box so much I went on an ordered a second one! With the retail price of the Sunday Riley alone I couldn’t resist! The Kate Somervile Eradikate treatment is awesome too! 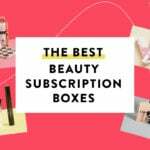 This is the best New Beauty box EVER!! I just got mine in the mail and I am soo tempted to get a second one. the value is unbelievable. I got my box today and I LOVE it so much I ordered another one!!! The Bum Bum cream was a large travel size and the Zoya nail polish was a pinkish red – very, very nice!!! I did the same thing. Had to order one more box, everything was sooooo good. Love this box! It’s a bit misleading though when they list a price for full size but reality is that it’s only a “travel size”. The Revision size is worth $39, not $133, PCS is $40, not $147. However, total accurately comes to $398 which is phenomenal for a $60 box. Can’t wait to use most of the items, sending the Bum Bum cream to daughter as I’m a hopeless case there. I’ve received mine yesterday. It was fully packed and for $60 seems to be of an amazing value. So happy about the Martian and EradiKate!!! Received my box yesterday. It is super heavy. Even though I knew what would be in it I was still surprised when I opened it. So many items with so many full size. I got overwhelmed when going through the box that I put it away and just took out 3 items to try out today. Definitely the best value I’ve seen in a long time and it’s not just because of the high RV, it’s because almost every product will get used. Last year’s box pales in comparison. The Zoya nail polish comes in 3 different colors. I received red. The pic above shows lavender. Anyone receive the 3rd color? I got my box today and received a very wearable pink Zoya! Be sure to check for missing items. My box was missing the bum bum cream. I’ve emailed them hoping for a replacement. It just came today I live in California. It is the box that keeps on giving. It is a big box packed full. The bum bum is 2.5 which is great. I live in Miami, and my box seems to be in Atlanta distribution center for 4 days, I’m kind of worried 😟 No movements since July 29. I received mine today in the box is fabulous I just love it it came with so many great products. Hi Michael. Lucky you!! I’m wondering if maybe my box is lost, or something like that. It does not make sense to have so many days in Atlanta. Any advices for me? I don’t know what to do! Mine has been in the “USPS awaiting package” stage since the 27th with no movement at all. I’m not sure I would keep checking the tracking they can send you texts with updates you just have to sign up for it. Or maybe email customer service maybe they can help. I really hope you get it soon you won’t be disappointed. My box has been at the local USPS regional distribution center 20 miles from me since 7/29 too. I really hope it starts moving soon. You can always order another! I ordered a second after I got the first one. I am actually really surprised that there were still some available! Received my box! Wow! So glad I purchased! Thank you for sharing! Can’t wait to get mine. I’m so glad to hear it’s the bigger size I love the smell hope mine gets here soon. YYYYEEESSSSHHHHH! so excited! is everything the same as the list? pictures?! sorry, just want to live vicariously through someone else. lol. my box is still shipping, i don’t have an exact arrival date yet. I got a shipping notification!!! Me three! I can’t believe it’s so soon! How long did it take to get shipping confirmation? Well, I managed to sleep on it before pulling the trigger at least! I love Amika dry shampoo & Bum Bum cream, and have been wanting to add a toner to my routine, so decided this was worth the splurge. Very, very excited!! I’ve thought about for a few days and though I originally said I wouldn’t purchase, I just did. There are many things I want to try and the other things I will pass along to family/friends. I’m in the minority but I can’t tolerate the scent of the Bum Bum cream. Initially it smells great, sweet toasted vanilla/coconut but it lingers and eventually gives me a migraine. It really does look like a great value can’t wait to try everything hope it ships fast hate the wait..
Me to I could not resist. 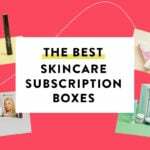 I just could not resist this Box .New Beauty Awards box is $30.00 more than the last box but the cost is still worth it.I hope it gets reviewed here. 15 of these items I have not tried yet so I am excited to get my box. I have bought PCA skincare products and must say they are pretty good. I crave in and got one. I’ll use 2/3 of the stuff and what I don’t, I’ll sell or give away to friends. I am unable to order it on the link given. How did you order? It’s still available now, mine has already shipped so their shipping is faster this time. I really don’t need any of this stuff. So why do I still want it?? There are some great items but I need to resist. I spent too much on FFF edit sale and Nordstrom sale. I know everything SR is popular but that toner smells so bad!! well this made my day! i go to check my e-mail and see that i have an early access e-mail! of course i ordered right away! i am beyond excited, i can’t love new beauty any more than i do, it just isn’t possible!!! i’m hoping like heck that the bum bum cream is a larger size. i’m probably one of the few people who havn’t tried it yet. i’ve heard so many good things so i’m pretty frigging amped to try it! emily, isn’t that always the way it goes though?! I haven’t tried it yet either! I’ve just smelled it at Sephora a bunch of times. haha! what does it smell like, luna? usually people say pistachio, i think it is? do you have any other scents that are popular you can say it smells like to give an idea? It does smell like roasted salted pistachios. To me, this comes off smelling like hot buttered popcorn popped in coconut oil or kettle corn but it in a tropical type way. how do you describe the smell, julia? I started out loving the smell but I also found it lingers on your hands a LONG time and every time I tried to eat something (cherries have been In season and we’ve been wearing ALOT of them lol a long with other fruits and vegetables from our garden) and it gets on whatever fruit or vegetable I’m eating and it in mixed in with the taste of what I’m eating and its NOT good lol! Sorry I have such a long response lol! How often do these boxes come out? Wasn’t the last one with more stuff $30? These only come out once a year, these are the New Beauty choice awards boxes they’ve always been $59.99. I just bought a bunch of things from the FFF summer edit sale and then I bought 4 of the past play boxes today…got Allure yesterday, Boxycharm will be in a couple weeks, and theb FFF will be billing in Aug. I just dont “need” anything. I’ve been trying to curb my “want” purchases, so I’m gonna have to pass on this. I have soooooo many products I havent used yet and I’m staring at the top of my dresser right now and it’s just a waste to buy anything else right now. Is tax and shipping included? I rarely write comments but I figured sometimes its helpful when you have someone explain stuff and give ideas when you’re contemplating about making purchases. I was on the fence about spending $60 too, then really looked at the items and got a box. If you break it down, thats 20 products, for $3 bucks each (all of these things, including the travel size is atleast worth $3). Also are paying for a full size Sunday Riley, even if you won’t use it, it can easily be sold/swapped/or gifted and get your money back for the whole box pretty much. I re-wrap those allure boxes (they are so sturdy yahll, like you should save them lol) and put cute tissue wrap/confetti paper and throw in alot of items that are small and kinda go together etc. It makes nice little mom-to-be-pamper gifts, or Galentines, or bridesmaids, or whatever occasion. For alot of big items I won’t use, I get baskets from michaels or hobby lobby with a coupon (makes them 40% off) and add a candle, book, throw and then the beauty/body products etc. It makes beautiful Mother’s day and birthday gifts. I then buy shrink wrap and use a blow dryer to make it look more “professional” lol its super easy and of course I put a nice bow -already made- on top. They have all kinds at Walmart and you can get pretty ribbon (thick with lace/shimmer etc in a variety of colors) and make your own “big” bow with long ends. One thing to note, if you attach a card it will eventually fall unless you attach it the day of (couple hours before gifting). All of these ideas/examples are explained in videos on youtube too, with full step-by-step instructions. That would be lovely; I know how sometimes it’s the smallest gestures that we hold most dear, especially in emotionally draining events. You can also bring old clothes your sons don’t fit/and women’s shirt/change of clothes (I think they only accept new toys if you wanted to donate along those lines too ) . Most shelters usually accept anything but the hospitals are often forgotten, and even nursing homes. Sometimes the older people there don’t have any visitors so bringing some lotions or soaps, post cards, whatever lol and little makeup items and chatting with them makes their week! it feels good to make someone else’s day for sure! how would you go about doing that? i’d love to talk to older people and bring them things to pamper. i lost my grandma a couple years ago and i’d love to be able to do something nice like that. I’m sorry for your loss; I was close to my grandmother as well. You can google assisted living facilities and nursing homes by your zip code/City etc. The best thing to do is call and speak with a manager and request to volunteer/ ask about visting hours. Some high schools actually have clubs that come and help with getting meals made/ brush the women’s hair/ play checkers or chess with them or read to them, you could join in on those days as well. (Most of the students do this to get hours for college resumes so they wouldn’t mind usually for more helping hands). You can host a bingo night and the prizes can be beauty box stuff or blankets/scarfs etc and you can meet/greet many of the residents at one time. Then if you connect with one or a few you can make vists to them directly during visitor hours etc . The last voulenteering I did was a couple weeks ago at MD Anderson and stayed/chatted with patients during their treatments/helped them get sandwiches etc (its reallllly long days/hours for chemo treatments with a mixture of drips/drugs). First NewBeauty box I’m passing on.. There are 3 repeats in there from their past boxes and I have most of those items already from other boxes. The only items I have not tried yet is the Sunday Riley and Kate Somersville, which I don’t suffer from acne, plus.. the Sunday Riley has Alcohol Denat. as the second ingredient, so I would never use it. I love PCA Skin and Revision, but have both already and it just isn’t worth $60 for 2 little samples. Fingers crossed their next box is a winner for me! I agree. I am surprised how much Hype SUNDAY RILEY gets, considering they use such bad harsh ingredients. I guess it’s the cute name. I actually wanted to try this toner, but I won’t with all that alcohol in it. You go for the most expensive product and day it was like getting the rest for free. How quickly do these normally ship out? If I remember correctly, I believe they take 2 to 3 weeks to ship. Good timing, I just ran out of Martian. It smells terrible but works great. Im excited about this! This is the perfect combo of items for me as I mainly use hair stuff, skin creams, and nail polish and lip balm. Im so overloaded on makeup this is a nice change! BTW Ipsy is offering the “exfoliate and Hydrate set” for $15 and it has creams, lip stuff, mask and the small bum bum cream in it so thats a good option as well. Thanks for posting this! I totally bought that Ipsy set. Between the bum bum cream and the purlisse sheet mask, I was sold. Excited for lip stuff too! same here! i have enough make up to last a lifetime (i’m talking about you, highlighters and eyeliners!) but i can always use good skincare. that’s actually why i love new beauty, they tend to send a good deal of skincare stuff. i just wish they’d send more haircare like good shampoos and conditioners and leave in conditioners and less styling products. so excited! Got it! Need it? Not really! 😂. Excite to try some new stuff, though. Thanks Liz for keeping us informed. I just purchased one using link above. Was unable to sign up for early access. I was unable to sign up for early access too (I kept getting some weird message about the certificate not being up to date or something), but I still got an email this morning when it launched. I’m wondering if it’s because I’m signed up for their regular emails too. Not sure if you’ll see this, but the Sunday Riley and the Kate Somerville were two of the only items that I /could/ use from this bundle – that being said, if you’re selling or swapping yours…please let me know! I’ve been wanting to try the Martian toner specifically for awhile now. I bought one. I’d love to buy two! I just ordered it too. I don’t need some of the stuff in it but simply can’t resist! Just bought! I tried so hard to resist, but there are so many things I’ll use! I can’t wait to try out the EradiKate. Is that a sample size of the Bum Bum Cream? Yes, the bum bum is travel size. I ordered, there are enough items I will use to make it worth the price. Thanks…you know I’m trying to figure out the worth “to me” here. Lol. And the travel size is 25ml RV $10? No, the bumbum in the picture is the 2.5oz size. If the picture is accurate. I will not be happy if they sub in the .85oz one. Yeah, to me it looked like the bum bum cream was the larger travel size – but by the looks of the description in the list, it could be the smaller one… I hope it’s the larger one! That’s nearly half the value of the box for me! From the pic its def the 2.5 oz bc the smaller one fits the entire title on the lids profile, while the larger travel one doesnt. I have one of each and the size of the font isnt the same in proportion to the lid size, so yippie!!! On a different note…am i the only one who got TWO confirmation emails?